I learned that you can make a blog to talk about yourself and to share news. People might have similarities with you and want to read your blog. 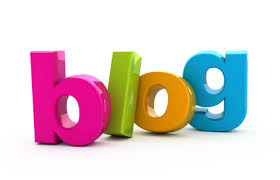 The first blog I liked was called Hallie's Happy Blog. That was one of my favorites because there were things that were similar to me. There were animals that move and you can play with them, so I liked that that. My second favorite blog was called Guess What, I liked that blog because you can play with it and you can take little surveys. Also it had cool looking 3-D pictures. My blog's name is The Fast Horse because I like horses and I'm fast. In My Blog is a place to do my assignments that the teacher gives us.